The will to help others be better at what they do. To provide guidance and support to talent within the country irrespective of it being a company or an individual. I have always believed that if I can set someone’s profession/career/business on track –it will eventually not just help the country but so many other people associated with him/her. Making someone own their lives by being responsible for their successes and failures and instilling the will to fight and not give up against the challenges life throws at them – that means everything to me. I’ve been in the HR fraternity for over 9 years. I've worked all of these years in the corporate world and have been meddling with small consultancy projects on the side for a few odd years. I started as a HR Generalist in an Oil and Gas Exploration and Production company, NHEPL and went on to become a Head of HR at an IT company, Wavetec within the first four years of my career. The odds were stacked against me but I have a habit of challenging myself to do the impossible. Even Impossible says “Im –possible”. With Wavetec I was introduced to the IT industry and then there was no turning back. 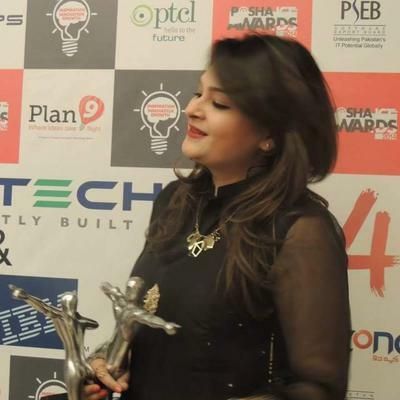 I went on to becoming a part of Systems Limited, Pakistan’s first and largest IT Company. I ran their Karachi operations, until I was given the chance to take over HR Operations, Employer branding and other initiatives for Business expansion. I lead their UAE operations and started their Middle East and Pakistan Resource outsourcing models. Since my first job at NHEPL, I was offering training programs to professionals on improving their communication skills and how to work on personal development. I worked on various training programs for Media, Marketing, Retail and Shipping companies. I also helped with Organization re-structuring for the retail sector in Pakistan. It was not until 2016 that I decided to leave my full time position and start something on my own. Consulting just happened. When clients and ex employees heard I was leaving Systems, I was approached by many of these wonderful people to offer consulting services for their respective organizations. They believed in my quality of work and my commitment. That just gave me the wings I needed to fly. 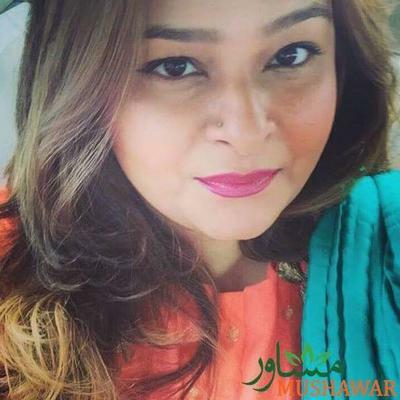 I already knew my partner, Noorjehan Arif from our work interactions and we both collaborated to launch Mushawar Consulting. Since then Alhamdulillah there's been no looking back. I just have one vision: To contribute; wherever I can and as much as I am able to. I want to work on gender disparity issues, women inclusiveness and youth development. Women are the growing foundation of each country’s future. Improved lives of women will only mean better upbringing of children and more hands on deck for economic development. Our youth has to be provided guidance and counselling sometimes without a cost to ensure they can reach their full potential, that they can succeed and contribute to our tomorrow. To help people see themselves and their accomplishments in a better light. To see them prosper with the right tools and guidance provided to them. When you make a difference in someone’s life or for someone’s business and they make a difference and contribute to others lives - that is the most rewarding experience and that’s what keeps me going. Giving up a stable 9-9 job for my own startup with zero funding. Everyone said we would not make it. But we have. From working in our homes to creating our own working space. Then proceeding to hiring a team of talented people to contributing to our client’s success. Having people thank us for providing them support to become a better version of themselves/their businesses. It means everything to see how your contributions are making a difference in other peoples lives. As a partner at Mushawar, I offer solutions to Startups, SMEs and Entrepreneurs along with Corporates. I am currently leading the HR division, which offers HR solutions, HR desk outsourcing and Talent acquisition at Mushawar Consulting. I offer policy design and implementation services to our corporates along with training and development courses. We offer specialized content and programs for diversity management, women inclusiveness and employee engagement and employee wellbeing at work. Currently Mushawar was focusing on the Pakistani local market but we also had clients from Middle East and UK. We are focused on taking a step further and not just growing our inhouse teams in Pakistan but also include UK and UAE as Mushawar’s operations branch out in these two markets. We have also initiated our Content Management and Digital Marketing company called Delta Writers and we hope to have a fulltime in-house team running projects for Startups, SMEs and Entrepreneurs in Pakistan. I’m working on online courses for women to work on their personal development and designing programs for career planning and development for the youth in Pakistan. I’m currently working on online courses for the Talent Acquisition and HR fraternity to utilize to step up their professional game in their respective careers. We will be launching an extensive virtual training program for our clients all over the world focusing on productivity, business strategy and personal development. Believe in yourself. Let go of your insecurities. Think minimum and live minimum so you can invest the most of yourself and your resources for the success of your startup. Do not let negative energy affect your optimism and your faith. Do not use your life savings 100% because you always need to support yourself.